I'm currently having issues with extreme fatigue and sleepiness. I've had this problem for about 20 years and no actual cause has been determined. It's chalked up to Chronic Fatigue Syndrome. I've been taking Adderall for over 12 years at the max dose of 60mg a day. I still have good days and bad days as with any medical condition. Unfortunately the doctor who put me on Adderall decided to move out of state and I can not find another doctor willing to prescribe it that can prescribe it without being in trouble. Please bare with me until I get it straightened out. I am very proud of my 5 rating. I NEVER flake. If you do not receive from me I am glad to re-send. All you need to do is send a me a PM and I will get a re-send out by the next day. My name is Jenny. I am 36 years old, twice divorced with no children. I rescued a black lab on 12/16/16 from a shelter. As soon as I saw her photo on Facebook I knew I had to meet her. The next day I drove out to the shelter, about an hour away. I ended up bringing her home that day and I changed her name to Baby Doll. I have had, over the years, lots of animals. Dogs, fish, hamsters, turtles, rabbits, a cat, a lamb and my own horse named Jenny's Jewel. Baby Doll is all I have right now. I have my AA in Business and finished about half of my BS in HR Management before quitting due to being disabled with chronic migraine headaches. 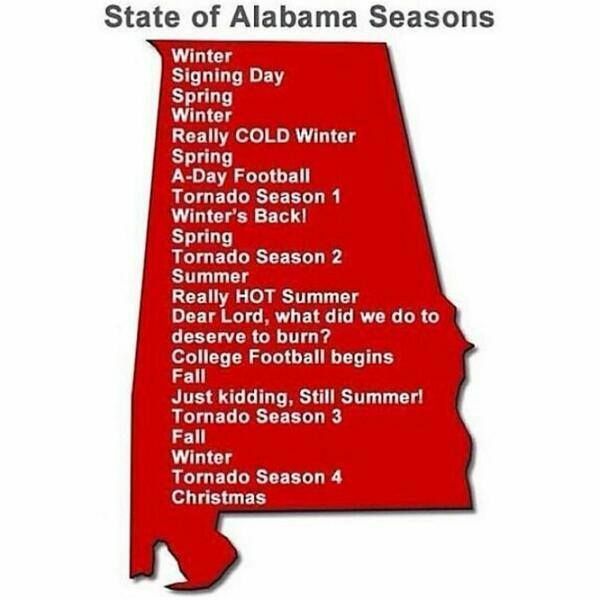 I have lived in Alabama all my life and I love being from the south. The humidity gets bad in the summer. We usually don't have a spring or fall. It goes from summer to winter and winter to summer. I'm (usually) a laid back, casual person. I prefer jeans and t-shirts over dresses any day. (I don't even own a dress or skirt) I'm definitely a country girl, though I don't hunt or fish, LOL. Winter is my favorite season, I HATE summer. My favorite holiday is Christmas. 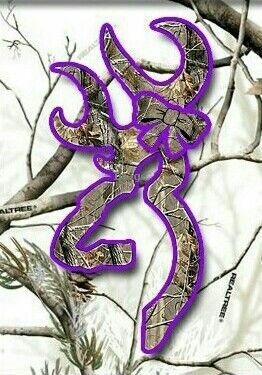 I love pink and purple camo anything. I love ANYTHING Browning! I like Kawaii items (stickers, letter sets, memos, etc). My most favorite characters are Cinamoroll, Rilakkuma, My Melody, Sentimental Circus, Little Twin Stars, Keroppi and Tarepanda. My current favorite food are ribs. The best I have found so far are at Logan's. My favorite drinks are sweet tea, of course, and Mountain Dew. Baja Blast is my favorite along with Livewire. My favorite music is modern country. 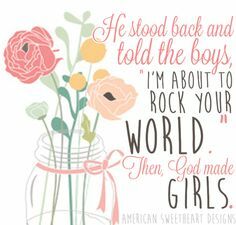 A few of my favorites are Chris Young, Carrie Underwood, Lady Antebellum, Kelsea Ballerini, Florida Georgia Line and RaeLynn, Rascal Flatts, Dan + Shay and of course King George (Strait). I don't read a lot due to the migraine/headaches but I love the Stephanie Plum series by Janet Evanovich. I tried audio books but turns out you have to concentrate for those too. I love Tyler Perry as Madea. I love his movies and plays. I love the classics like The Andy Griffith Show, I Love Lucy and Bewitched. 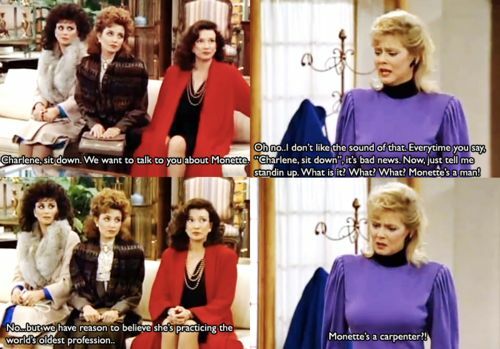 I also like Mamas Family, The Golden Girls and Designing Women. Anything that SMELLS. Smells are a definite migraine/headache trigger, esp perfume and cigarette smoke. Glitter or small confetti, if at all possible. They make a huge mess! Food or Drinks of any kind. In this day and age, I hate to say it, but I don't trust anyone I've never met in person. I prefer my postcards blank, in an envelope but often I join swaps requiring the opposite. That is fine if you send it that way, I just prefer blank. I have limited space so I don't get to save EVERY PC. If I add a PC to my collection in goes in a 5x7 sheet and into a binder so you don't see the back. I don't like handmade PCs. IF A SWAP CALLS FOR A POSTCARD TO BE SENT NAKED, I WILL NOT RATE DOWN IF IT IS SENT BLANK!! I have been to the Smoky Mountains a few times and LOVE it. 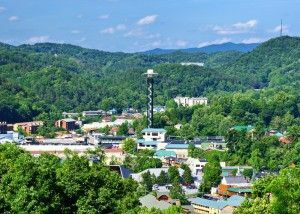 Gatlinburg is my most favorite city ever! In the summer of 2006 I saw the beach for the first time. I went down to Gulf Shores for a conference for the job I was working at. My mom got to go with me and we had a great time. 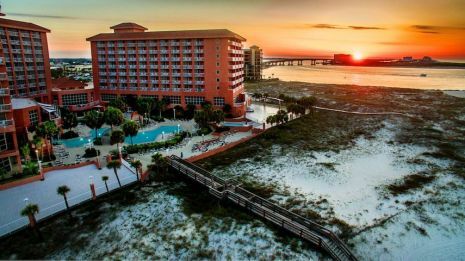 We stayed at the Perdido Beach Resort pictured below. 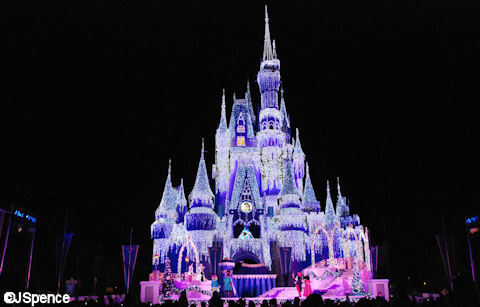 In December of 2008 I got to see Disney World for the first (and only) time. It was at Christmas time and was incredible. I went with my aunt and cousin. It was the best trip of my life. I hate dollar store note cards, the brand is "Tender Thoughts", but like all others. I like writing paper and letter sets. I can always use envelopes (4x6 and bigger), ink pens, note books and note pads. I also like washi tape and I can always use blank greeting cards for ANY occasion. Comment: Thanks for the great new recipe postcard. I love eggplant. Comment: Thank you for the nice paper items!!! Comment: Dear Jenny, what a lovely postcard, thank you very much!!! 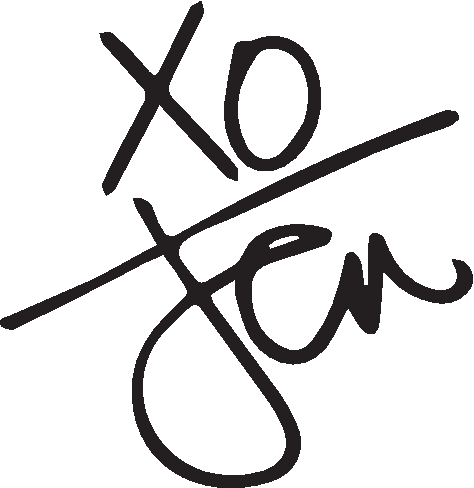 Comment: Thank you so much Jenny. Comment: Thank you for the PC. I always liked Zsa Zsa Gabor! Comment: Those horse postcards are gorgeous! Thank you so much! I made a section just for them in my modern horse album! Comment: thanks so much ! Thank you for the great wishes granted in two groups (AWG & WW)! I love the new PCs and the greeting cards I can use for future swaps/pen pals! Thank you for my AWG April wish of notecards! They were really cute! Thanks so much for the fun postcard. Now I have a new joke to tell. Thanks so much for the sweet bday wishes! Thanks so much for the lettersets and the postcards you sent for both my April AWG and WW wishes! You're amazing! Thanks! Thank you tons for the adorable address labels for WW March!!! They are really cute and so many. Thank you for your thoughtfulness and generosity! : ) Have a good weekend!